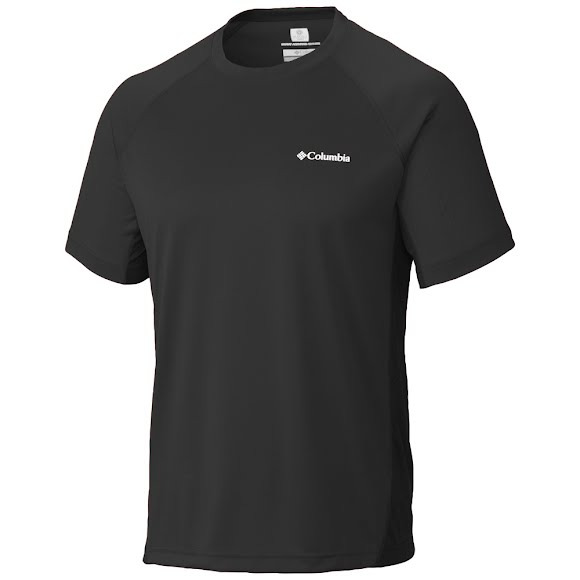 The coolest-wearing training tee we make, this ultralight, ventilated Columbia Men's Chiller Short Sleeve Shirt battles the heat by combining our industry-leading cooling technology with big inserts of sweat-wicking mesh, which promotes maximum airflow and amplifies the effects of the cooling technology. Reflective detailing keeps you safe and visible in low-light conditions. The coolest-wearing training tee we make, this ultralight, ventilated Columbia Men&apos;s Chiller Short Sleeve Shirt battles the heat by combining our industry-leading cooling technology with big inserts of sweat-wicking mesh, which promotes maximum airflow and amplifies the effects of the cooling technology. Reflective detailing keeps you safe and visible in low-light conditions.